Some people are more prone to spider veins and varicose veins than others. 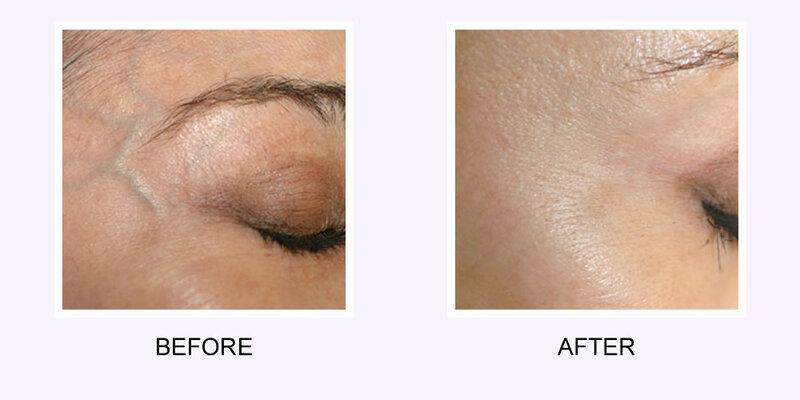 Unsightly and dark veins in purple, blue, or green often come to the surface under thin and transparent skin. Sometimes tanning can help reduce the sight of these veins, but sometimes spider veins or varicose veins can be in very apparent spots. Abington Aesthetic has the perfect solution for you: laser vein removal*. A Laser Vein Removal treatment works by delivering a focused beam of light to a varicose vein or spider vein. This causes scar tissue to form on the vein, which then closes off the vein. When a vein does not have blood flowing through it, it dies and is later absorbed by the body. Recovery time is short* – we encourage you to resume your normal activities, but ask that you refrain from vigorous exercise, direct sun exposure, or hot tubs for 24 hours following your treatment. Laser vein removal works better on some veins than others*. We are unable to determine which veins will respond best by area alone, so we suggest scheduling an evaluation and consultation to assess your veins for proper removal. Sometimes prior surgery or treatment can affect how well a vein may take to laser vein removal, so it’s important to speak with us before scheduling for the actual laser treatment*. Our laser vein removal treatment process is fast and relatively painless. A typical session can take between 15-30 minutes, but depends on the size of the vein being treated and where it is located on the body*. Significant improvements can often be seen in as little as 1-3 treatments*. Most individuals report the procedure as painless, but sometimes there can be a slight sting when the laser pulse is delivered. 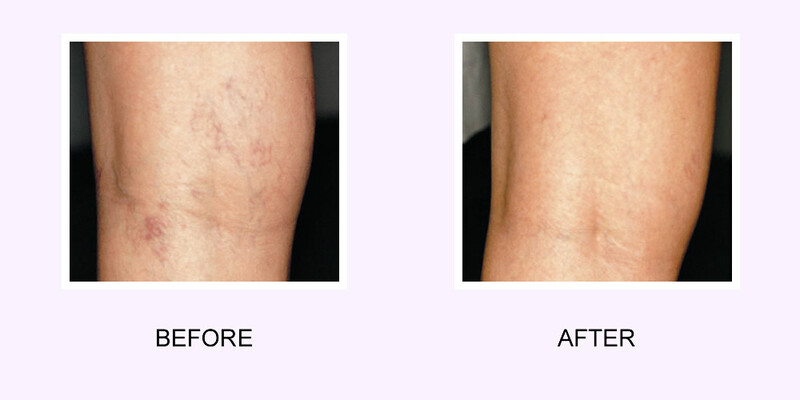 Ready to remove unsightly spider veins and varicose veins*? Contact us today!